Hi all, like one year ago Manosoft amazes us again, this time he did a great job of merging the ITS TAP Player module with the C64SD and from this merger comes the Princess, an interface with both previously released interfaces. The Princess interface is elegant as only Manosoft can do, the box color has changed and is a white sand that matches perfectly with the whole 8-bit Commodore Home Computer series. In addition to the color were also added new controls and visual led. Below the instructions of each command on the front/back side of the Princess interface. Play/Stop switch for TAP file. Yellow – Virtual Motor of the Tape. Floppy Drive Connector (IEC) Computer side. 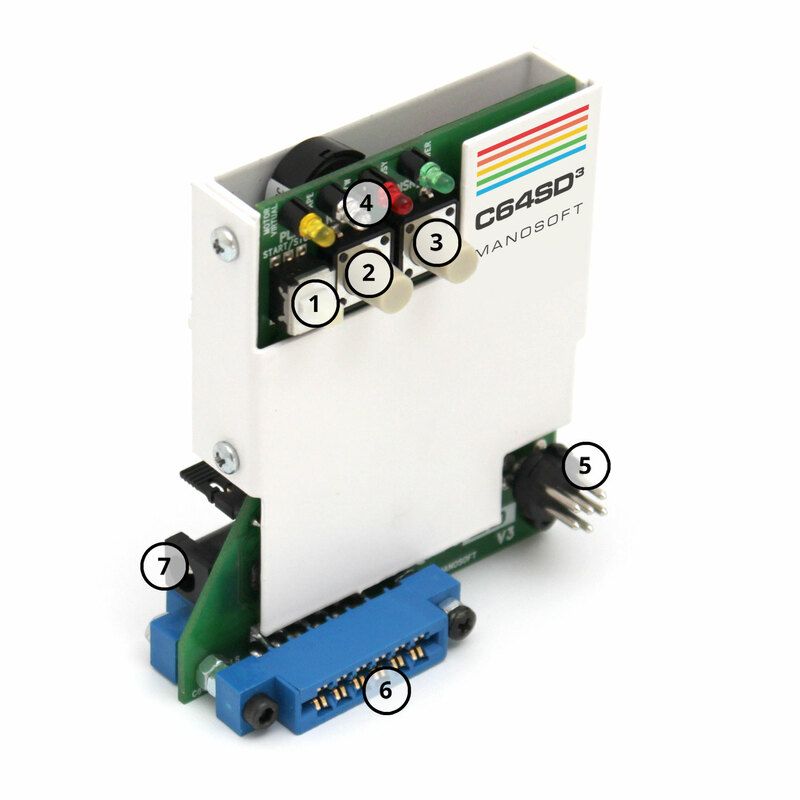 Dip Switch for selecting the Floppy drive Device (SD2IEC). Audio volume (monitor function) TAP Player. Mini DIN 8-pin connector to be connected to the tape port of the Commodore 264 series. Pass-through Tape connector to use with a Datasette 1530 or 1531 with a another adapter. Like the previous C64SD v2.0 interface, the Princess has a pass-through connector for the cassette recorder and one for the Floppy Disk Drive. I don’t forget to speak about the nice addition, a small Piezo Speaker to hear the sound of the bytes that are loaded with the TAP Player and also a nice “beep” that warn if the interface on power up working correctly. Damiano alias “Manosoft” is a good manufacturer of 8 Bit peripherals and also a great friend. 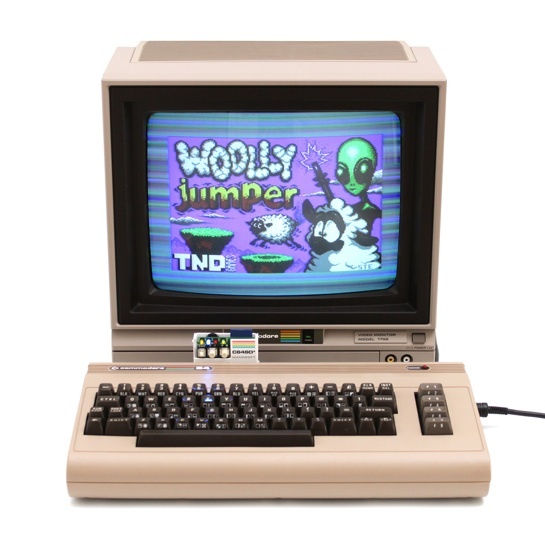 I take the opportunity of this article to greet Damiano and congratulate for this new interface for the 8-bit Commodore Home Computer series. “AIO” is an innovative system that will allow the creation of the SD Card of 4GB or higher in a few minutes from an image file created ad hoc. On the Commodore 64 side was also written a new program called “MENU” with some utilities like the initialization of the SD Card for the Princess C64SD v3.0 interface. The development of the TAP Player firmware with the SD2IEC protocol has been made possible thanks to the collaboration of Hawui1 promoter and developer of the ITS Module and some other things. 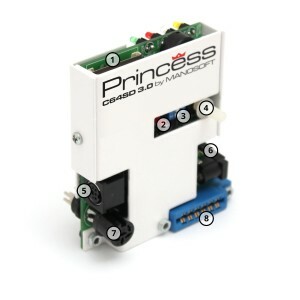 The Princess C64SD v3.0 interface will be available for sale in the next months on the Manosoft site.